These daring frocks go beyond the usual white! (SPOT.ph) In December 2014, Marian Rivera wowed fans with her grandiose Michael Cinco wedding gown which reportedly cost a jaw-dropping P2 million. Several years later, Kaye Abad turned heads with her intricately structured gown by Francis Libiran. 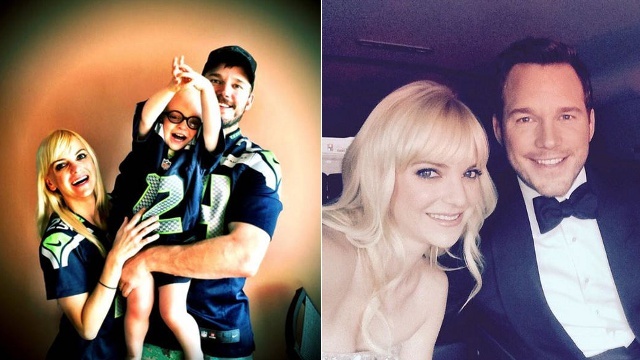 More recently, however, a non-traditional kind of celebrity wedding gown has been making waves all over social media. Instead of the customary white number, local designers have created gowns that come in the most unlikely yet head-turning colors. Would you dare to walk down the aisle in any one of these? 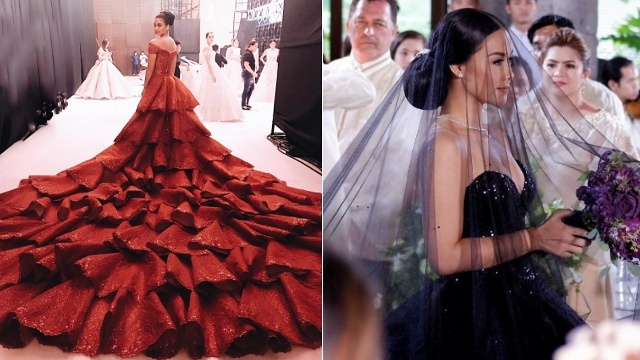 No, Maja Salvador isn't tying the knot, but her character in the hit TV drama Wildflower is set to walk down the aisle in this stunning, floor-length ball gown. According to a report by Preview.ph, the bodice and skirt were made in French lace and encrusted with Swarovski crystals. It even comes with a matching black veil! Although Anne Curtis has yet to give fans a peek into her actual wedding gown, she donned this show-stopping red dress during designer Michael Leyva's bridal fashion gala. The custom gown features an off-shoulder neckline, an intricately detailed bodice, and a train with layers of cascading fabric. Over the weekend, TV host and blogger Divine Lee had everyone talking when she tied the knot in an elegant gold wedding gown by Rajo Laurel. In a report by ABS-CBN News, Divine explained that she opted out of a white dress because "[she] would wear bridal gowns to events."